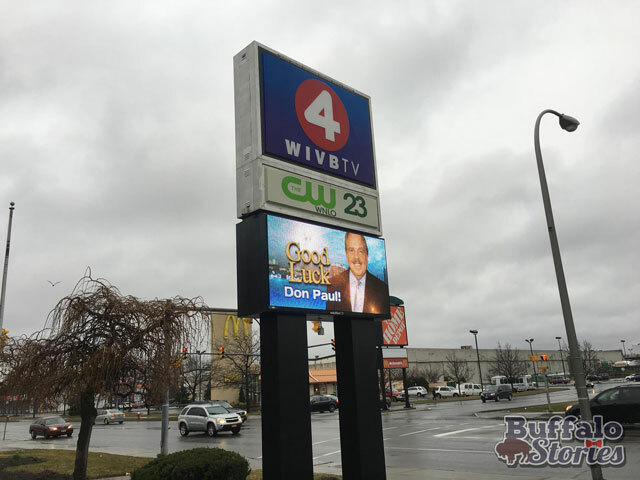 When Don Paul retired as Buffalo’s pre-eminent weather authority last month, the folks at Channel 4 wished him luck on the message board in front of the station’s Elmwood Avenue studios. 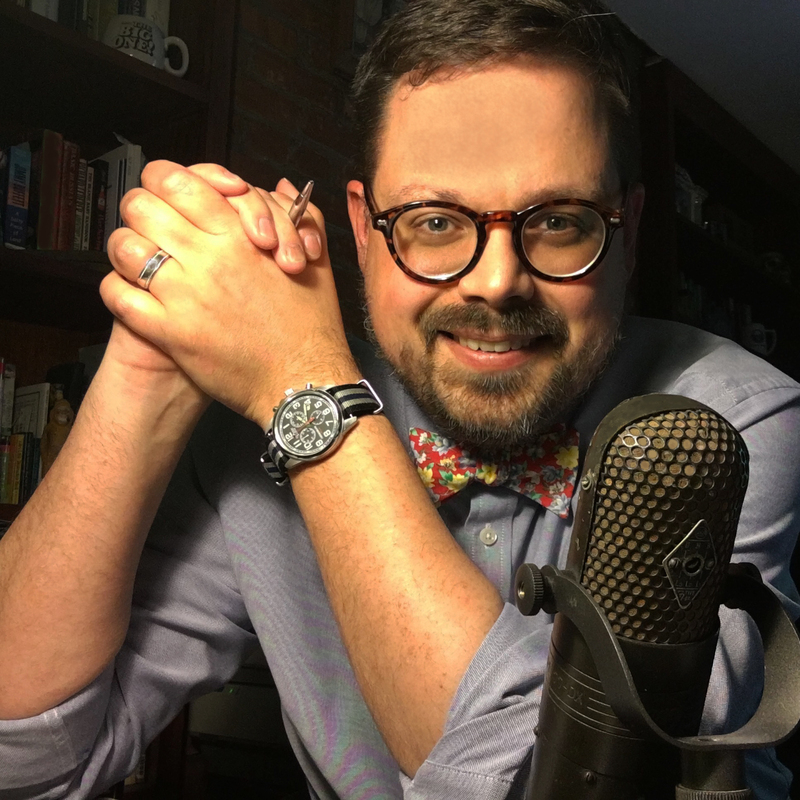 The high-definition display replaces a scrolling light sign which had been in place for at least 40 years. 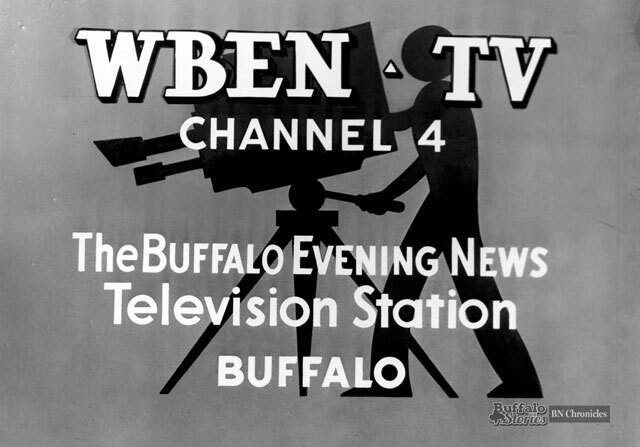 The station now known as WIVB-TV has called 2077 Elmwood Ave. home since 1960, and until 2000, the building also was home to WBEN Radio. The yellow buildings across Elmwood Avenue in this 1983 photo have long since been torn down, and replaced by Popeye’s and Napa Auto. 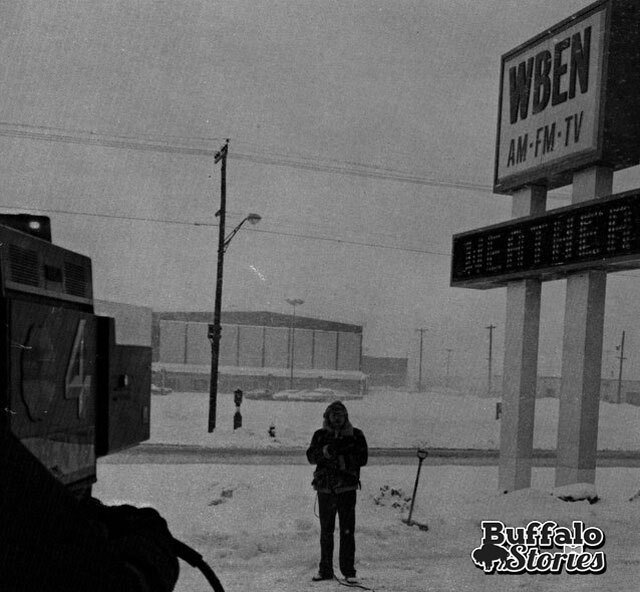 In 1977, it wasn’t Don Paul, but another fabled Buffalo weatherman — Channel 2’s Kevin O’Connell — who was then Channel 4’s main weatherman, broadcasting live from underneath the sign as a blizzard descended upon the region. 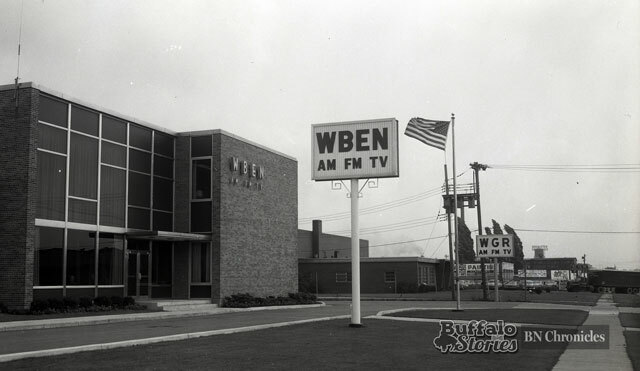 It was a simpler sign — almost bizarrely similar to next-door neighbor and competitor WGR’s sign in 1961. 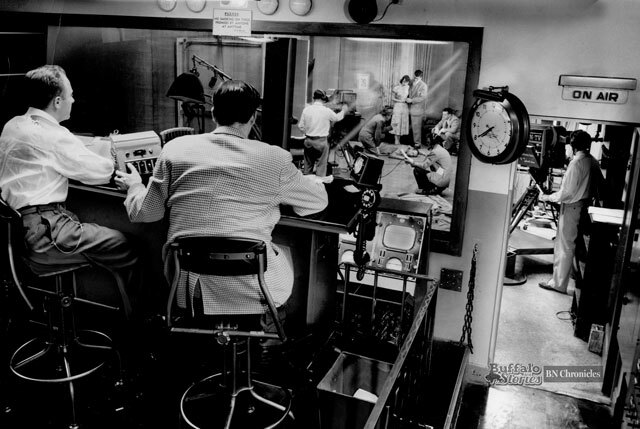 The tiny building that housed WGR’s radio studios for several years has been owned by Channel 4 for decades. 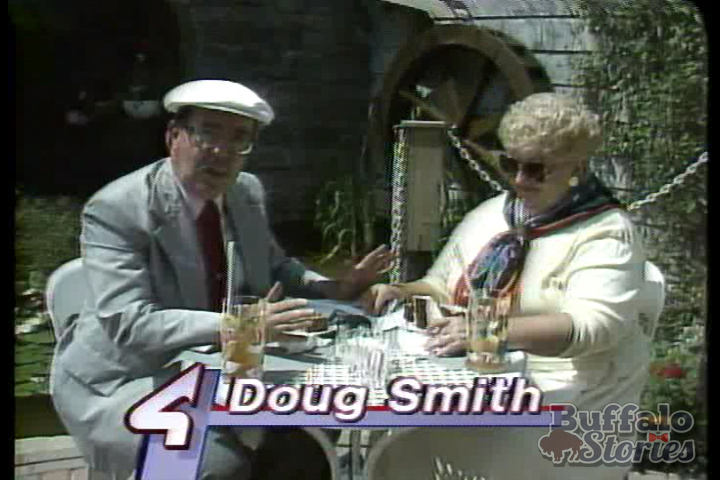 It still stands directly across Elmwood from McDonald’s. 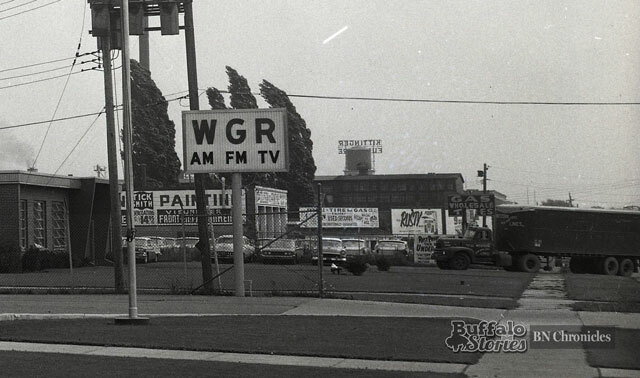 Looking further down Elmwood, none of the buildings in view past the former WGR building are still standing. 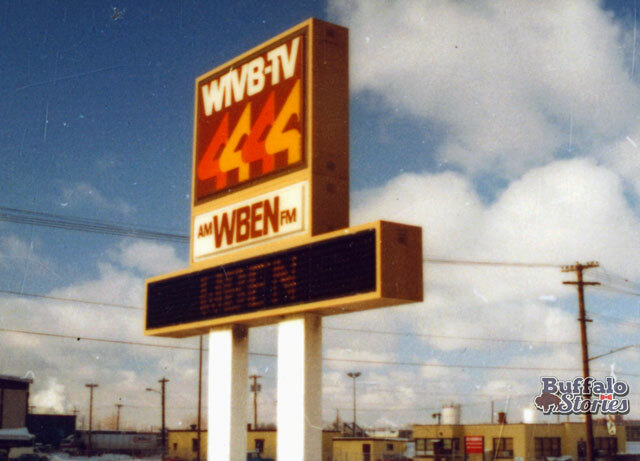 A paint store stood where the former Don Pablo’s/Advance Auto now stands. Off in the distance closer to Hertel, the water tower of the Kittinger Furniture factory is visible.